Do You Know, How Long Does Airbrush Makeup Last? 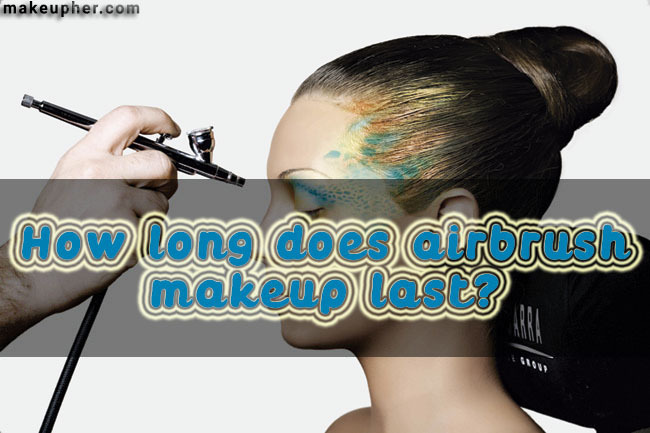 Home » Resources » How Long Does Airbrush Makeup Last? Makeup application is meant to make you feel better about your skin and help you achieve the look that you have always wanted regardless of the skin problems you might have to deal with. But many people have misconceptions about makeup like does makeup expire if unopened and whether it will last in any condition. This is why there are always new makeup trends that will promise the best results. Airbrush makeup is one of the latest makeup trends that promise a flawless look and a natural finish concealing all skin imperfections without looking cakey or too heavy. Wearing makeup is supposed to help you feel more confident about your skin but this will not be the case if your makeup starts to wear off or melt off your face. There are a lot of factors that will determine how long does airbrush makeup last even if it claims that it will last for 24 hours or more. If you want your makeup to last then you need to make sure that you are using it in the best conditions that will help it stay on. The climate: The weather and the humidity level will determine how long does makeup last on your face. Your makeup will last longer if the weather is dry and will tend to be more unstable if it is humid. If the weather is too dry however, you might feel that you need to moisturize properly before applying the makeup to ensure a flawless look. Skin type: Makeup breaks down faster on oily skin. This is because the oil produced in the skin layers will react with the chemicals in the makeup. This is why you need to make sure that you choose the best type of makeup for your skin. Liquid based makeup like airbrush makeup is typically more stable and will last longer. It might not be as moisturizing enough for dry skin but the problem can be solved with some rich cream and primer before makeup application. Amount of salt in your sweat and tears: Since you’re most probably going to wear makeup in parties and events where you might get active moving or emotional, you need to know that the salt concentration in your sweat and tears will react with the chemicals in the makeup. Even waterproof airbrush makeup might not be as stable when you are crying or dancing. Just make sure that you are using reliable and stable products that will keep on looking good regardless of the activities you engage in. 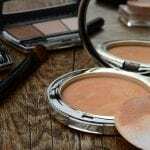 Type of product you use: This means that you need to pick products that are meant to last longer if you want to have flawless look for an important event. Make sure that you choose high quality products that are made to last for 12 hours or more without clogging your pores. If you are planning to attend an event on the beach or in very humid weather then a waterproof foundation might be useful. So does airbrush makeup last longer than traditional makeup? The answer is no. Both kinds of makeup will wear differently in different conditions. Airbrush makeup will look better in photos and will allow for a more even coverage but it will not last forever in harsh conditions. What Is Best Makeup For Acne?